The name of the Association shall be the Progress User Group. 2.1 To promote a voluntary exchange of information and ideas between members to their mutual benefit. 2.2 To provide a means by which the interests and opinions of the members can be presented to Progress Software Ltd.
2.3 To try wherever possible to balance the officers of the association to reflect the interests of the membership. 2.4 To remain a totally independent organisation. 3.1 Any organisation or individual subscribing to the objectives of the association may become a member subject to clause 3.6 below. 3.2 Only one delegate is entitled to vote on behalf of a Member, and each organisation joining is limited to one membership. A member’s delegate must be present to vote as no proxy votes are allowed. 3.3 Members may send more than one delegate to a meeting of the Association. 3.4 Applications for membership should be submitted to the Secretary of the Association. 3.5 Eligibility for membership shall cease if at a general meeting the Progress User Group resolves not to allow a particular organisation to remain in membership, providing that the resolution appeared in the notice conveying the general meeting and providing that a majority of Full Members present and voting, vote in favour of it. 3.6 The Committee shall have the right to verify the suitability of the application and shall have the right to reject any application for, or a renewal of, membership. 4.1 The Association shall raise the funds required by Annual subscription. The amounts of the Annual Subscription will be proposed by the Committee, and confirmed at the AGM and reviewed each year. The association will be non profit making. 4.2 The Annual Subscription shall be payable on the date of joining and annually thereafter. 4.3 Members must be fully paid up in order to attend the AGM. 4.4 No expenses of any Committee member or of any group member will be reimbursed by the Association without the permission of the Committee. 4.5 In the event that PUG UK & Ireland User Group shall cease to exist and there being money held in any Bank Account then any such monies shall be forwarded to EMEA PUG Challenge for the use and benefit of that organisation. 5.1 The organisation shall be controlled by the Committee consisting of a minimum of five Full Members with a maximum of ten Full Members. A Member Company may have any number of Committee Members but only one nominated person will be a Voting Member. The Committee may at its discretion co-opt additional members providing that the maximum number of members does not exceed eighteen. 5.2 The Committee may choose to appoint any number of Progress employees on the Committee. Such Progress employees shall have no voting rights. 5.3 The Committee will be elected annually at the AGM. 5.4 Nominations for membership of the Committee must be received in writing at least 21 days in advance of the date of the AGM. 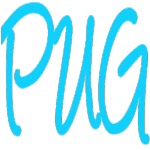 Members are permitted to nominate themselves but must provide reasons why they wish to join the Committee and detail the relevant skills they can bring to benefit the PUG as a whole. This nomination method also applies to members wishing to act as officers of the Committee. Election to the Committee is by secret ballot at the AGM and election papers, one for each member organisation attending, are to be provided by the outgoing secretary and circulated at the beginning of the AGM or preceding conference if appropriate. The ten members securing most votes are elected to the Committee. The newly elected Committee may consider co-opting unsuccessful candidates to join the Committee. In the event of a tie in the election of the Committee, the outgoing Committee shall decide the result by vote with the outgoing Chairman holding a casting vote. 5.5 At the end of the AGM the new Committee will elect officers to hold the positions of Chairman, Deputy Chairman, Treasurer, Secretary and Conference Co-ordinator. e) Removal. A member may be removed from office on a two- thirds majority vote at a properly constituted general meeting. 5.7 When an office becomes vacant, the Committee may immediately appoint a person to serve for the unexpired term. a) Preside at all General Meetings of the Association and Committee Meetings. b) Make provision for the discharge, pro tempore, of the necessary duties of absent members. c) See that the Rules of the Association are enforced. d) Carry out assignments and instructions given to him on behalf of the Association. e) Perform such other duties as customarily pertain to the office of Chairman. f) Be the prime contact with Progress Software Ltd.
g) Act as the prime press officer for the Association. h) Select and oversee the editor of the Progress User Group Newsletter. i) Encourage the membership and Progress Software Ltd to supply information for the Progress User Group Newsletter. b) Keepan accurate record of the proceedings of all meetings. c) Issue notices of meetings, Agenda and Minutes as directed by the Chairman of the Committee. d) Be responsible for the correspondence of the Committee. e) Receive all requests for Membership and maintain an up-to- date membership list. a) Ensure that proper accounts of the income and expenditure of the Association are maintained and a Statement of the Accounts made upat the 31st January each year is prepared and submitted to the next AGM. b) Ensure that there are safe and efficient arrangements for the receipt of money paid to the Association and issue of money payable by the Association. c) Ensure that annual renewal notices are distributed. d) Distribute the final accounts prior to the AGM, to accompany the notice of the AGM. e) Make available to the membership any records relevant to the final accounts should they request them. a) Stand in for the Chairman whenever required. b) Render whatever assistance is required by the Chairman. The Conference Co-ordinator shall be responsible to the Committee to oversee the preparations, organisation and running of the PUG conferences. The Co-ordinator shall form a team of helpers from the Committee, or by co-opting others, to help insure this task is carried out satisfactorily and without financial loss as far as possible. 6.1 An Annual General Meeting shall be held once per calendar year. The precise time and location shall be decided by the Committee. 6.2 Meetings of the Committee shall take place not less than four times per year. The quorum shall consist of three members of the Committee, which includes three officers. 6.3 The Committee may, on its own initiative, or will at the written request of not less than 10% of the Full Members, convene an Extraordinary General Meeting. 6.4 Members will be given a minimum of 42 days notice of the AGM and must inform the Committee of any proposed changes to the constitution in writing at least 21 days prior to the AGM. The Committee must advise the members of any proposed changes to the constitution at least 7 days prior to the AGM. 6.5 General meetings to conduct the business of the Association may be convened on the instruction of the Committee and when properly convened may approve any amendments, by a majority vote, to the Rules made by the Committee since the last General Meeting. a) The election of Committee members. b) Presentation of the Statement of Accounts for the year ended on the previous 31st January. c) The appointment of the Auditor. d) Approval of any amendments to the Rules made to the Committee since the last General meeting. 6.6 A quorum for a general meeting shall be 10% of the paid-up full Members. 6.7 At a General Meeting, the User Group may resolve to dissolve itself, providing that the resolution appeared in the notice convening the general meeting, and providing that a majority of members present, and voting, vote in favour of it. Should the group be dissolved, the assets will be shared equally between the current paid-up full Members. 7.1 Groups may be formed and disbanded by the Committee for any purpose which in the opinion of the Committee will promote the Objects of the Association. Members may be co-opted into subgroups at the Committee‘s discretion. 7.2 Each Group shall keep the Committee informed of their activities and notify the Committee of any area which, in their opinion, requires study. 7.3 Each Group shall consist of at least one committee member. 7.4 Each Group shall have its terms of reference agreed by the Committee. The Committee shall have the power to revise the Rules when such a revision appears to be necessary for the benefit of the members. All changes in the Rules shall be submitted to the next General Meeting of the Association and shall only continue to operate if approved by the meeting.